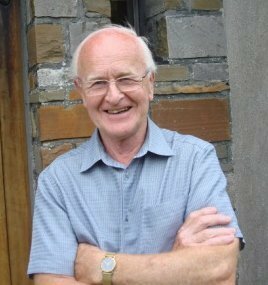 Len owned and worked in the former Mackay’s Boatyard in Stromness from 1963 to 1965. After leaving school Len had decided to go to sea as a deck apprentice. However, he was advised that if he ever wanted to get ashore the best position to get was as a Radio Officer so he trained and worked as a ships Radio Officer. After four years at sea he got a job ashore with the Ministry of Aviation and trained at Bletchley Park securing a job at Gatwick Airport after his six weeks training. At the age of 23 he bought Mackay’s boatyard and ran it successfully for two years before going back to work with the Ministry of Aviation which later became the Civil Aviation Authority. Len worked at several airports installing and operating radio equipment, instrument landing systems etc. 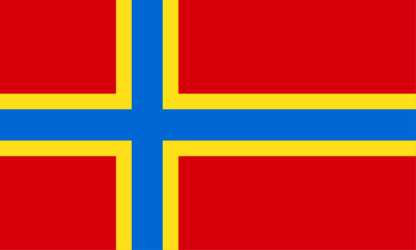 and eventually secured a job at Kirkwall Airport. After retiring from Kirkwall Airport Len decided to build a Yole. 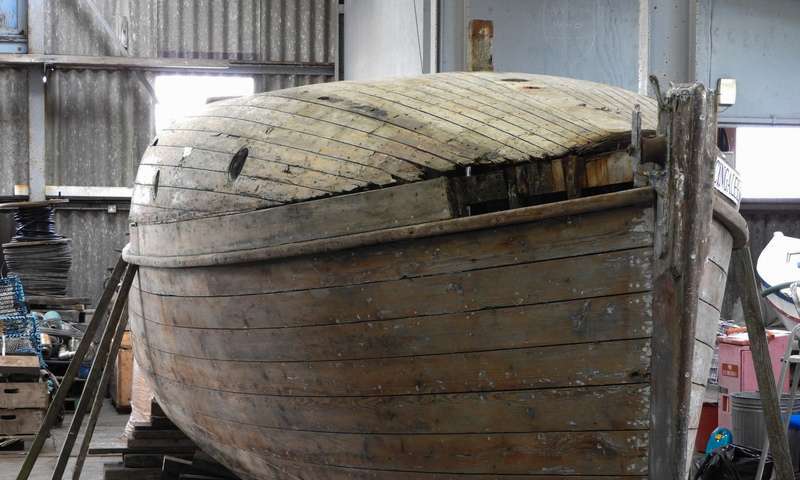 He built the ‘Gremsa’ a replica of ‘The Family Pride’, a South Isles Yole built in Flotta. He kept the ‘Sprit’ sail arrangement typical of south Isles boats. He also built two Flatties, eight fiddles, furniture and renovated a house in Stromness . At 77 Len is still keen on working with wood and spends his time making very nice fiddle bows. He is a very good story teller and I’m sure you will enjoy listening to him recounting his days in the boat building industry in Orkney.